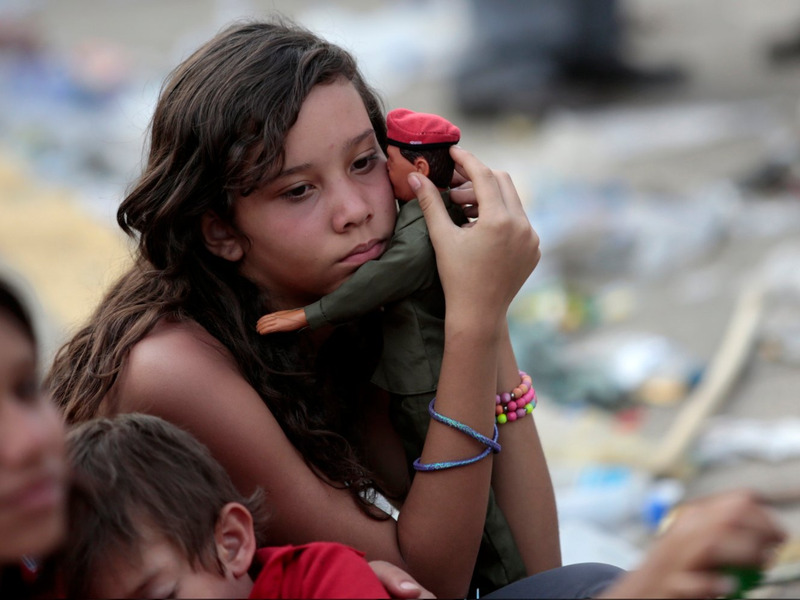 Reuterssupporter of Venezuela’s late President Hugo Chavez holds a doll of him as she stands outside a military academy where the funeral ceremony for Chavez is held, in Caracas March 8, 2013. Of all the countries in OPEC, Venezuela had perhaps the most need for the body to decide to cut oil production. But OPEC has indicated that it will not cut. This means Venezuela will most likely have to go it alone. The country will have to get through its economic free fall without the help of higher oil prices [boosting the value of its massive oil exports], and it is going to be an incredibly difficult road. In the last year the country’s inflation rate has grown to around 64%, its export basket has fallen over $US30 to $US68.97 (a four-year low), currency reserves are at an all-time low. For the last month Venezuelan bonds have been selling off at breakneck speed. Venezuela’s foreign minister, Rafael Ramirez, told reporters earlier this month that the country was ready to cut oil production. The commodity makes up 95% of the Venezuela’s export revenue. The country needs the average price of oil to sit around $US85 to pay for imports and keep up with its debt. Its been struggling with the former for some time now. Household goods like toilet paper are scarce in the country, shoppers wait in long lines for government supermarkets — even sometimes getting their arms marked with their spot in line. Earlier this month President Nicolas Maduro’s regime reiterated that it would not devalue the Venezuelan bolivar. The black market bolivar to dollar rate is already almost 120 to 1. Bond traders have said that they’re “scared as hell” of what will happen to the country, and that it is on one road with no exits — the road to default. 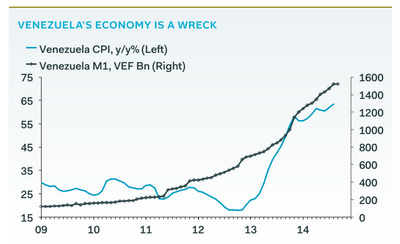 All this said, oil prices alone won’t save Venezuela. The country needs to take concrete policy action. However the Maduro regime is too busy shoring up support in the base, too busy squashing opposition and seeing phantom enemies everywhere, too busy constructing some ideological reasoning for the country’s malaise, to enact any constructive policy to save its own people. 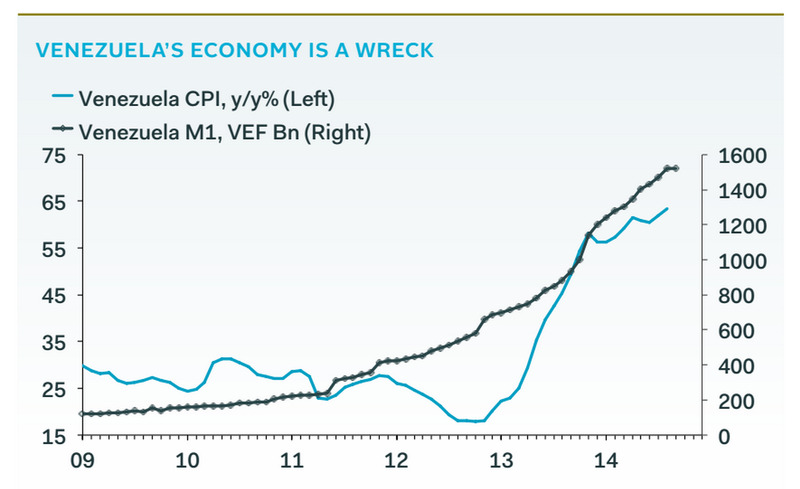 It isn’t OPEC’s mandate to save Venezuela from itself, after all.